The International Energy Agency (IEA) has cut its estimate for global oil-demand growth for both 2018 and 2019 by about 110,000 barrels per day to 1.3 million and 1.4 million barrels a day respectively, due to growing threats to world economic growth, said a report. Reduced growth estimates from the International Monetary Fund, trade disputes and the strain of high oil prices all fed into the downgrade to consumption, reported Bloomberg, citing the Paris-based IEA's monthly report. 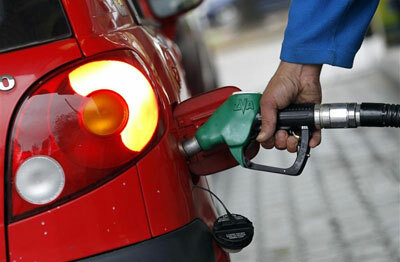 The IAE however warned that dwindling spare oil supplies will keep prices high, it added. Yet as supply losses deepen in Opec members Venezuela and Iran, the level of spare production capacity left elsewhere amounts to just 2 percent of global demand and will likely shrink further, said the report. Expensive energy is back” and “it poses a threat to economic growth,” said the IEA, which advises most major economies. The revision also reflected changes in the way the agency assesses Chinese consumption. Both global demand and supply are close to hitting 100 million barrels a day for the first time. Fatih Birol, the IEA’s executive director, said in a Bloomberg interview earlier this week that prices are “entering the red zone” that signals danger to consumption, and called on Opec members with spare supplies to increase production. The latest report showed that Saudi Arabia and other key nations in the Organization of Petroleum Exporting Countries are already delivering to make up for fellow members - notably Iran and Venezuela -who are suffering losses. Producers in the so-called Opec+ coalition, which also includes Russia, have added 1.6 million barrels a day since May, stated the Bloomberg report. As a result, inventories have been replenished and it appears “that the oil market is adequately supplied for now, it added.